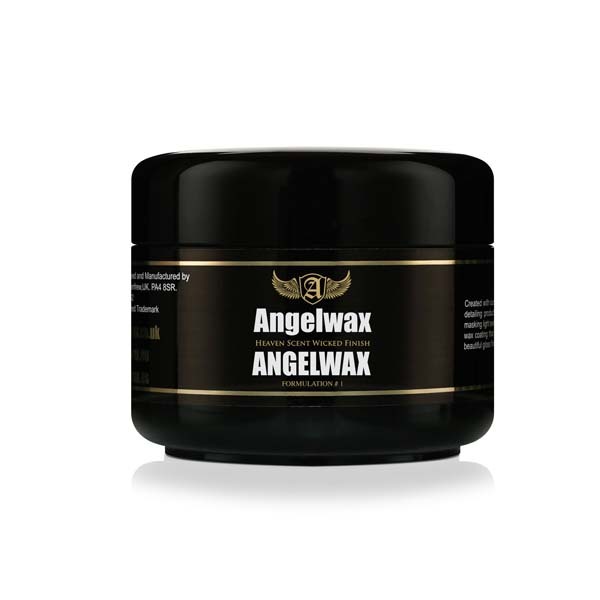 Angelwax BODY WAX has been a phenomenal success since its release in 2009 and has become a favourite amongst both the professional and amateur detailer, offering a very high quality wax without the price tag associated with many hard detailing waxes. We use only the highest grade naturally occurring waxes and oils the planet has to offer to give our customers an excellent product that gives your paintwork an amazing wet look, high gloss finish with outstanding durability lasting up to and beyond 6 months. Angelwax BODY WAX is a wax that is hard in nature and requires only a thin coating which will offer protection for up to 6 months. For best results, the application of a second coat will provide the ultimate protection. Each wax is hand poured in small batches to ensure only the very finest bespoke detailing product reaches you. Click below to watch a video of Angelwax BODY WAX doing its stuff! Available in 250ml and 30ml sample pots.